Do Angels Shed Their Wings? If angels ever need to give their wings a rest, I imagine they shed them along the Florida coast or over the shallow water where they eventually wash up on shore for us to find in the form of long white seashells. 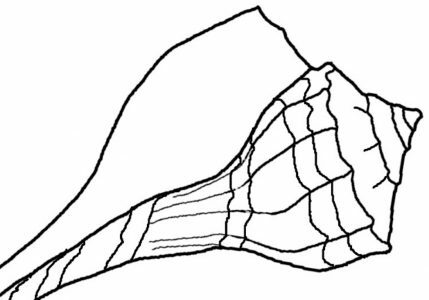 The Angel Wing (Cyrtopleura costata) shells look just as you would picture them to look. They can be up to 8 inches long and even though my story imagines them being “dropped” in Florida, they can be found all the way up the east coast of the U. S. to the state of Massachusetts and in the south, to Texas and Brazil. 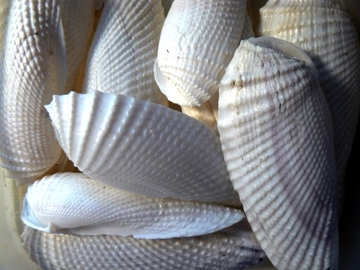 The ones shown here are courtesy of the Florida Sheller Blog, so check out his wonderful assortment of shells. I have quite a few of these but never have found a pair….. still looking.